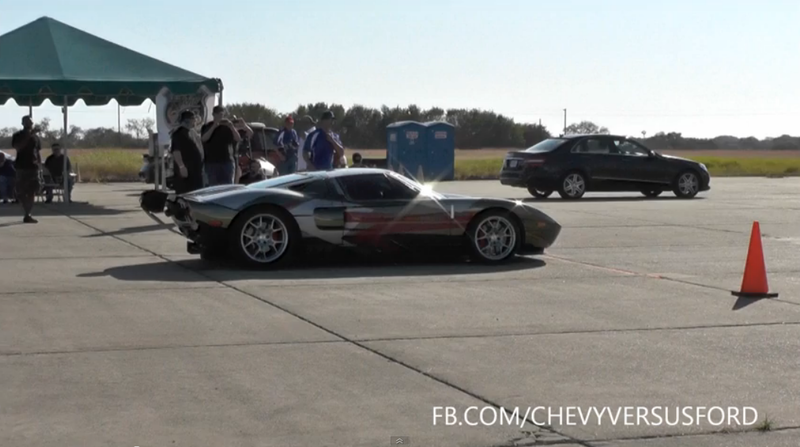 Marchettino - The ONLY official website: 2000hp Ford GT hits 278 mph! The Texas Mile is a very popular and important event, it takes place twice every year and it always bring fast machines and records. One of the most interesting cars of the latest event was certainly this 2000hp Ford GT which has improved by 11mph Hennessey's top speed record in the 1 mile run, overall with a top speed of 278 mph. Yes, you have read it right, 278 mph! To make it clear for everyone, we're talking about 447 kph, what a result, we just hope to see a GoPro footage from inside the car someday! Ciao Marchettino...ma questa ford gt è omologata per la strada? WOW! If I had one of these I could get to Publix and back in about 0.00254 seconds. Just think of what I could accomplish in all that spare time!